Our mothers used to say, “everything in moderation,” and the same is true of fun in the sun. We know that sun exposure is vital to our health. Sunlight enables our skin to produce vitamin D (the “sunshine vitamin”), a powerhouse hormone that supports healthy function of everything from the cardiovascular system1 to the immune system.2 Aside from vitamin D, sunlight can support good mood and better sleep by synchronizing our circadian rhythm.3 But we also know that sun exposure is behind the kind of permanent skin damage that can lead to a host of cosmetic skin concerns (think fine lines, wrinkles, and sun spots) and the most frightening ones like skin cancer. So we heed the advice of the professionals and are conscientious about our skin’s time the sun. But even so, we do not always get off scot-free. For the times when we come inside only to discover a red, hot, itching sunburn, we look to our favorite natural sunburn remedies. In fact, we always keep our top 10 home remedies for sunburn on hand. While any of our top 10 home remedies can provide sunburn relief on their own, sometimes a few is better than one. So we’ve compiled our favorite recipes that contain a combination of those natural ingredients to create the best sunburn remedies. If there is something on the ingredient list that you don’t already own, never fear. 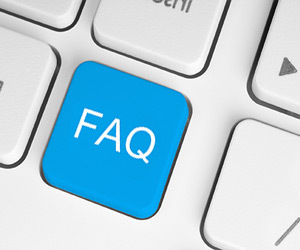 Most are typical household products that you’re likely already familiar with, and for the rest, we will provide our product recommendations to make your shopping trip just that much easier. Using four of our home remedies for sunburn, you get all the naturally cooling anti-inflammatory, analgesic, and antibacterial effects in one topical gel. We like this combination of sunburn remedies because it not only contains ingredients that will bring your skin relief, but ones that will promote healing as well. First, you’ll need a small glass container with a lid for mixing and storage. We like these for a single batch (they’re not just kitschy shot glasses!) or these for larger batches. We like to buy glass containers or jars like these in bulk because they always seem to come in handy. You’ll be surprised how many ways you’ll end up using them. Next, combine the aloe vera, apple cider vinegar, and lavender essential oil together. If you can’t get fresh aloe vera, either from the plant itself or the produce section of your local health food store, try to find a brand that is free from unnatural additives, particularly dyes and fragrances. We like this one, which contains a limited amount of natural preservatives and uses seaweed extract as a thickener rather than xantham. Most natural aloe vera products will be more liquidy than the typical bright green gels you find at the drug store, but they absorb quickly and relatively cleanly and most importantly, they’re natural and safe. Last, stir all ingredients to combine. Gently apply to sunburned areas as often as needed. You can store this homemade gel in an airtight container in the refrigerator for several weeks. Witch hazel is known for reducing swelling and inflammation as well as healing the skin, making it a great natural sunburn remedy. This recipe then adds peppermint essential oil to provide cooling relief and pure aloe vera to moisturize. Cornstarch thickens the mix and provides a silky smooth texture. Add water, peppermint essential oil, aloe vera, and witch hazel to a small mixing bowl. There are many witch hazel products out there, and a lot of them contain a long list of unnecessary additives. We’ve found a brand we like that contains no drying alcohol and a very limited amount of preservative (in fact, it’s the lowest we’ve seen). Stir ingredients to combine and cover for 2 hours. After allowing mixture to infuse, add the cornstarch one teaspoon at a time, stirring to combine. Add up to 4 teaspoons for desired consistency. Then transfer the mixture to an airtight container (your glass jars will come in handy here) and allow to “marinate” in a cool, dark place for another 24 hours. Then apply to skin as needed. The cream can be stored for several weeks in the refrigerator meaning you can always keep some on hand for sunburn emergencies. For those who prefer to soak, you can combine three of our favorite sunburn remedies to soothe your irritated skin, reduce itchiness, and promote healing. Just remember, don’t soak for more than 20 minutes as the extra time in the tub will no longer be moisturizing and healing. In fact, it can do the very opposite, drying out your already irritated skin. No thank you. Add oatmeal to an old stocking or tightly tied cheesecloth and place under the tub faucet. If using whole oats, just be sure that they are long-cooking and unflavored. That said, we love having colloidal oatmeal on hand for several skin remedies and it will work here, too. Aveeno makes a great single-use packet product, but we like to buy in bulk. Then just fill tub with cool (not cold or hot) water, adding the baking soda and milk. Soak for up to 20 minutes and then lightly rinse and air dry. No scratchy towels on that sensitive skin! Sometimes you just need a quick soothing spritz rather than a long soak. Those are the times we reach for this simple homemade sunburn spray. You’ll get the antioxidant and healing benefits of green tea (yes, it’s just as powerful when used externally5) along with soothing cucumber and aloe vera. For a light scent, we add essential oils: peppermint will add a cooling sensation while lavender is not only calming but known for its burn healing properties. Brew 1 cup of strong green tea allowing to steep for at least 30 minutes. We like going for green tea straight up with no other artificial or “natural flavors” as you never know what’s hiding behind those labels. We love Prince of Peace’s organic green tea for its ingredients (only organic green tea), its flavor (fresh), and its price (super inexpensive). But if you’re like us and try to avoid tea bags when you can (that goes for both the silky mesh plastic and paper varieties), this Numi loose organic green tea will work well with your infuser or tea strainer. Once brewed, chill the tea in the refrigerator. While tea is brewing/chilling, purée the cucumber in a food processor or blender. Then strain the cucumber purée to separate the liquid from the pulp. If you prefer not to dirty an appliance, you can simply mash small cucumber chunks with your hands into a fine sieve or strainer. It’s not as efficient, but it works. Next you’ll need a small glass spray bottle. We prefer tinted glass as it helps maintain the integrity of the essential oils. Pour 1/4 to 1/2 cup of chilled green tea into your spray bottle (depending on the size of your bottle) adding the cucumber juice, aloe vera, and 2-5 drops of the essential oil of your choice. Screw on the spray nozzle and shake to combine. You’re now ready to mist onto your skin for on-demand relief. This fresh mist should keep in the refrigerator for up to 10 days. You know the drill. Take care of yourself and your skin. Be sure to gently cleanse your skin with cool water and a gentle cleanser (or better yet, just cool water for those nasty burns) before applying any topical treatment. It’s also important to note that these sunburn remedies were not specifically developed with blistered skin in mind. So if your burn blisters, be sure to consult a doctor before proceeding. 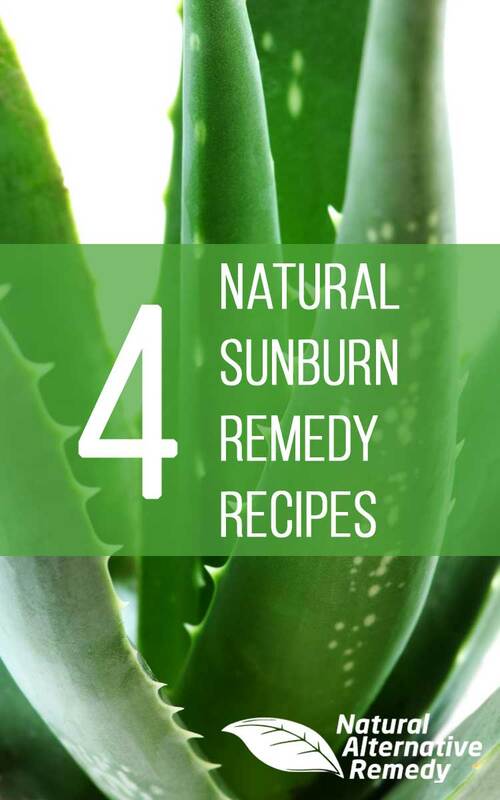 For more information about each of the individual ingredients in these recipes and how they provide sunburn relief and help heal the skin, be sure to check out our article Top 10 Natural Home Remedies for Sunburn Relief. What natural sunburn remedies do you use? Share your story and recipes in the comments below!